So many think it is the opposite of that. My life is totally what happens to me and I have no control over it. I am a victim. But it is so liberating to believe that that isn’t the case. I mean so many sit and dwell upon their past and live in such a helpless, depressing way in their life. I can’t be happy, I can’t make a difference, I can’t, I can’t, I can’t but the truth is they are saying I won’t because they have given into their circumstances. But God didn’t create us that way. Of course there is a part of our life that is controlled by what happens, 10 perfect. But most of it is controlled by how we respond to it. Do we give in or get up and do something? 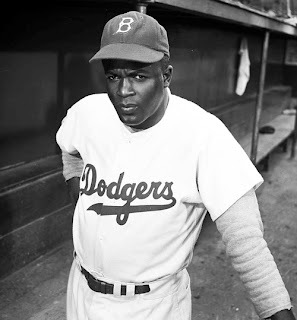 Jackie Robinson was born black. He couldn’t change that. He was also born with unlimited potential. Now he was a baseball player who prejudice said he couldn’t play with whites. But he was given an opportunity to be the first black to play with whites. Now he could have said no. It is not possible, I am a victim of prejudice. Now it in no way was easy but he decided to respond in a different way and change what was happening around him and in that he was liberated. Now responding to what is happening around you isn’t always easy but being a victim also isn’t easy. And you have a choice. So are you giving in or getting up?